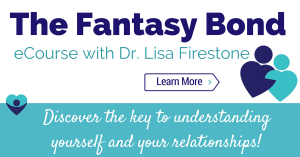 Relationship Advice, Relationships, The Fantasy Bond, Toxic Relationships By Lisa Firestone, Ph.D. There is a misconception in our culture concerning the reason why intimate relationships deteriorate and end. The typical relationship cycle is depicted as follows: Two people meet. They fall in love. They enjoy a certain portion of exhilarating time together. Then, reality sets in. The spark fades. Routine takes over. Fights begin. And love ends. A common conclusion surrounding the downfall of relationships is based on the distorted notion that falling in love has more to do with living in fantasy, and falling out of love has more to do with facing reality. The truth, however, is almost always just the opposite. When two people fall in love, they’re very often the most simultaneously open, vulnerable, interested, and independent versions of themselves. They are on their own side, going after what they want, and consequently showing the best aspects of themselves. In this respect, one might say people are the most themselves when falling in love. In the early stages of a relationship, people are interested in getting to know someone for who they are separate from their relationship to them. Thus, when a couple meets, they are typically more independent and respectful of each other than they will be as their relationship develops. 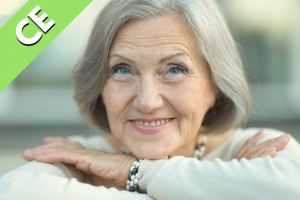 In letting down their guard down and getting close to someone else, people let go of long engrained defenses that have held them back throughout their lives. Examples of this can be found in almost every “how we got together” story you’ve ever heard. Whether it’s overcoming a fear of getting involved, breaking a pattern of only dating one’s polar opposite, or finally being willing to open up to someone else, these are the personal tipping points that often send people tumbling into love, and this feeling of love is inarguably real to those who experience it. A Fantasy Bond is a concept developed by my father, psychologist and author Robert Firestone, to describe an illusion of connection people form to create a sense of safety and security. As a relationship becomes more intimate and more important to us, we start to feel vulnerable and afraid that things will change. Our worry that we will be hurt or rejected is often apparent to us. But there is another element that threatens us of which we are often less aware: being seen as truly lovable by someone else. This view of us challenges the negative aspects of our old familiar self-image. Even though we don’t like our old identity, we are reluctant to part with it because it’s how we’ve always known ourselves. We grew up believing certain negative things about ourselves, and therefore we’ve grown comfortable accepting these things as truth. In an effort to preserve this familiar identity and to protect ourselves from potentially painful outcomes, we often form a Fantasy Bond. In this process we hold on to a fantasy of being in love while retreating from our partners. We become increasingly inward and withdraw from being vulnerable and open to those we care for. For example, when a couple first gets together, they may enjoy feeling romantic, looking into each other’s eyes, exchanging compliments and outwardly expressing affection. However, as time passes and one’s defenses kick in, they may start to feel less comfortable with eye contact, more disbelieving of compliments, and less open to affection. Qualities they once adored become traits they are guarded against, and quite often, even critical of. When a friend of mine described how she had fallen madly in love with her partner, she emphasized how taken she was with his outward expressions of love. She found his openness and acknowledgment to be romantic and sincere. However, after a few months of dating, she noticed herself feeling slightly annoyed by his attentions. She started to alternate between seeing herself as unworthy and him as needy. When she thought more about it objectively, she realized that her reactions seemed off, and neither observation was true of herself nor of her partner. What then was causing her discomfort? A few weeks after posing this question, my friend flew out to visit her family for the weekend. She noticed that none of the couples in her family showed outward affection toward each other or paid each other a compliment. She began to realize that this was reflective of her childhood, as her father didn’t believe in “patting anyone on the back,” preferring to correct minor flaws than to acknowledge major achievements. She also noticed that her mother rarely hugged or showed affection to her husband or her children. Though my friend didn’t like the way her family members interacted, once her own relationship got serious, she started acting out the very same negative behaviors she’d observed throughout her childhood. By making this connection in her mind, my friend was able to break this pattern in her behavior. She began to consciously act against the critical inner voices in her head telling her to keep a distance and to resist affection. Relationship milestones like moving in together, getting married, having children, or even simply acknowledging affection for each other can lead a couple to feel a certain amount of anxiety. When people identify the emotional baggage they bring to a relationship that causes them to react in these ways, they can resist the lure of falling into a Fantasy Bond. My friend, for example, could easily have never caught on to her defensive patterns and believed the thoughts telling her that she “didn’t deserve love” and that her partner was “too nice to her” or “too needy.” Had she done so, she would likely have found herself pushing him away. She would have taken actions that inhibited much of the spontaneous affection between them and fallen into a pattern of controlling his responses to her. 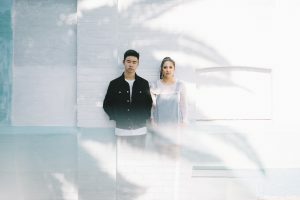 These shifting dynamics may seem subtle at first, but little controlling behaviors, small criticisms, and minor outbursts can escalate into full-blown destroyers of a relationship. The more we indulge in the nagging critical thoughts toward our self and our partner, the farther we distance ourselves from the real feelings of enjoyment and love that we feel for each other. To avoid this negative outcome, we must continuously maintain an interest and investigation into ourselves. What are our defenses? 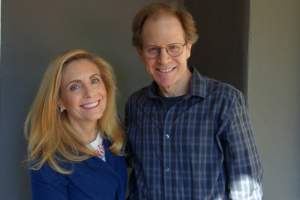 Are we pushing away someone because of our own fear of intimacy? Are we acting out patterns from our past? Are we controlling our relationship so as to avoid our own feelings of jealousy, insecurity, or shame? These behaviors deny the innate separateness of two individuals in a relationship, yet at the same time they create a real distance by breeding resentment and a desire to be free from the roles and restrictions imposed by a forced sensed of connection. It is important to be cautious of times we are no longer relating to our partner as the person he or she is but are merely making a connection to support our own sense of security. When we choose someone who we’re lucky enough to fall in love with, it is likely that we’ve let our guard down long enough to be vulnerable and truly ourselves. However, it is wise to be wary of our defenses creeping in. They may feel familiar and self-protective, but ultimately they lead us further from our self and further from the one we love. The more we challenge ourselves and deal with our own limitations, the better able we are to be fully present in our relationship. By resisting the lures of a Fantasy Bond, we can even be among the few who elude the fairy tale, yet manage to find true and lasting love. Great helpful article 🙂 and I’m also wondering the same as AP, regarding when real differences mean a real need to move on from a partner? Thanks! !